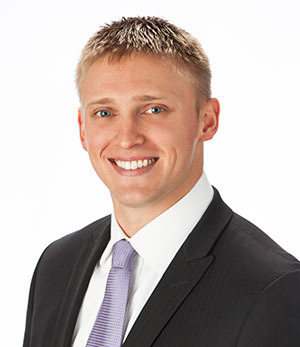 Dr. Swingdorf joined Chaska Dental Center in November 2014. He has a passion for dentistry and a commitment to providing patients with progressive, comprehensive dental care. He finds gratification in helping patients maintain optimal oral health by building a foundation using both knowledge and personalization. A native of Inver Grove Heights, Minnesota, Dr. Swingdorf grew up in a household surrounded by dental professionals; his father and brother are general dentists, and his mother is a dental hygienist. Dr. Swingdorf completed his undergraduate degree at Concordia College in Moorhead, Minnesota in 2006, and he then received his Doctor of Dental Surgery degree from the University of Minnesota in 2011. He is a member of several professional organizations, including the American Dental Association, Minnesota Dental Association, Minneapolis Dental District Society, and the Academy of General Dentistry. Dr. Swingdorf specializes in general dentistry with special interests in endodontics (root canals), oral surgery, prosthodontics and implants (replacing missing teeth), and orthodontics. He is also a certified-provider of Invisalign™, an orthodontic service Chaska Dental Center offers to our patients. When Dr. Swingdorf is not helping patients, you can find him relaxing on the St. Croix with his family and friends, hunting, fishing, running with his Golden Retriever, Dakota, and keeping active with CrossFit.